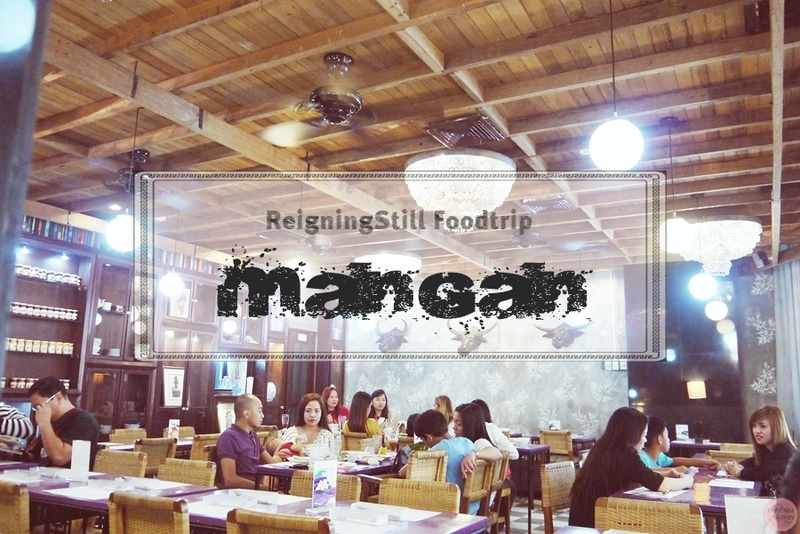 If you are looking for a good and affordable restaurant in Robinson’s Ermita that serves Filipino dishes, then you should definitely try Mangan. I was able to try this restaurant way way way before. And I remembered that I fell in love with their Puto Bumbong. 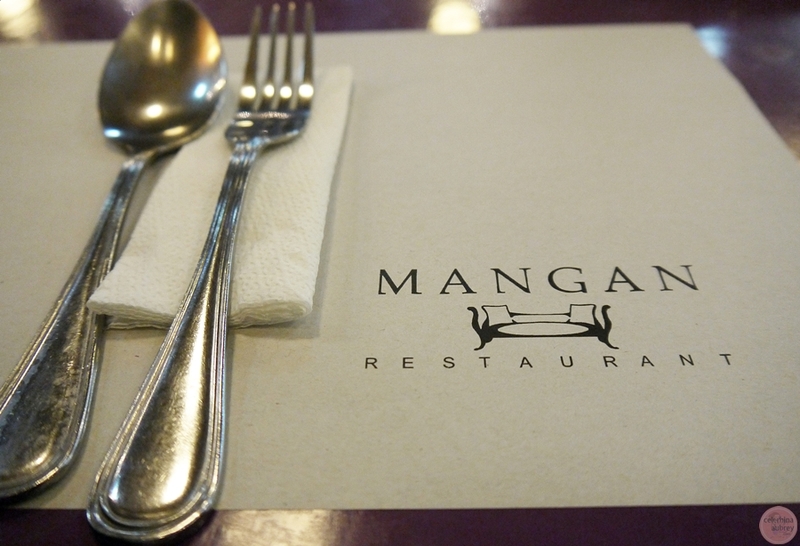 Mangan is a kapampangan word for “eat” or “kain”. And we all know that Pampanga is a food haven so my expectations are kinda high. 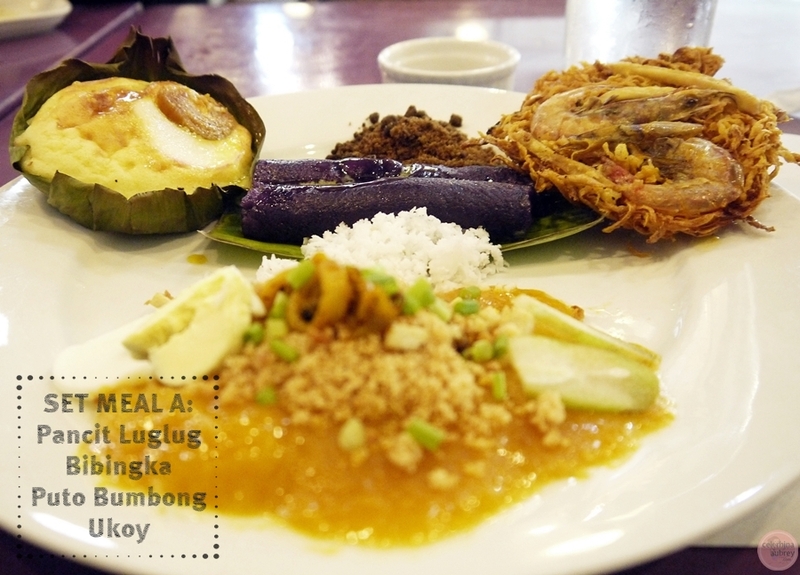 Mangan offers a wide array of Filipino food. 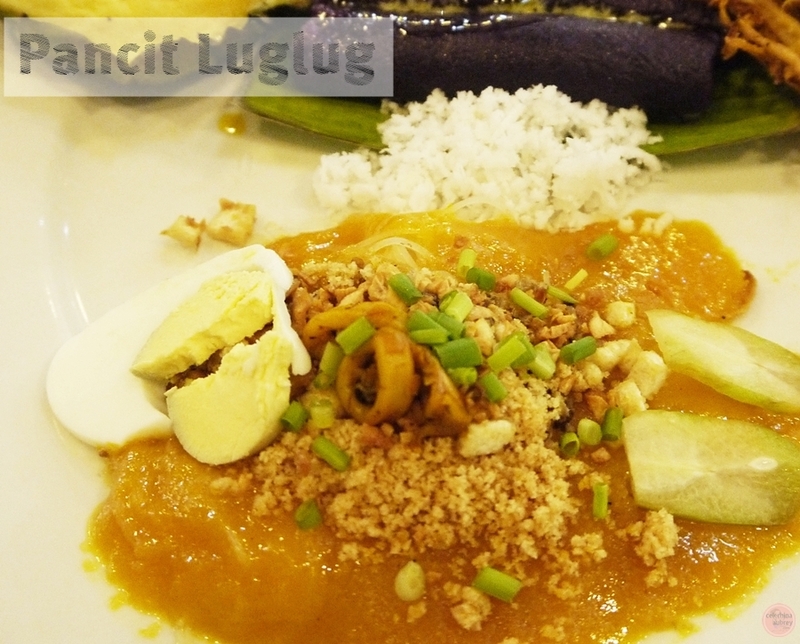 They are very much proud of the fact that their dishes are vey Filipino. Babalik balikan mo talaga. I also love their interiors. I really find this restaurant as one of those few who really invests on their interiors and really matched the interior design with the actual food being offered. Loads of woods can be seen. Those carabao heads on the wall are great accents to the overall femininity of the wallpaper. I also love their cabinets. Very Pinoy as well. Sabi sa inyo pinag isipan talaga. 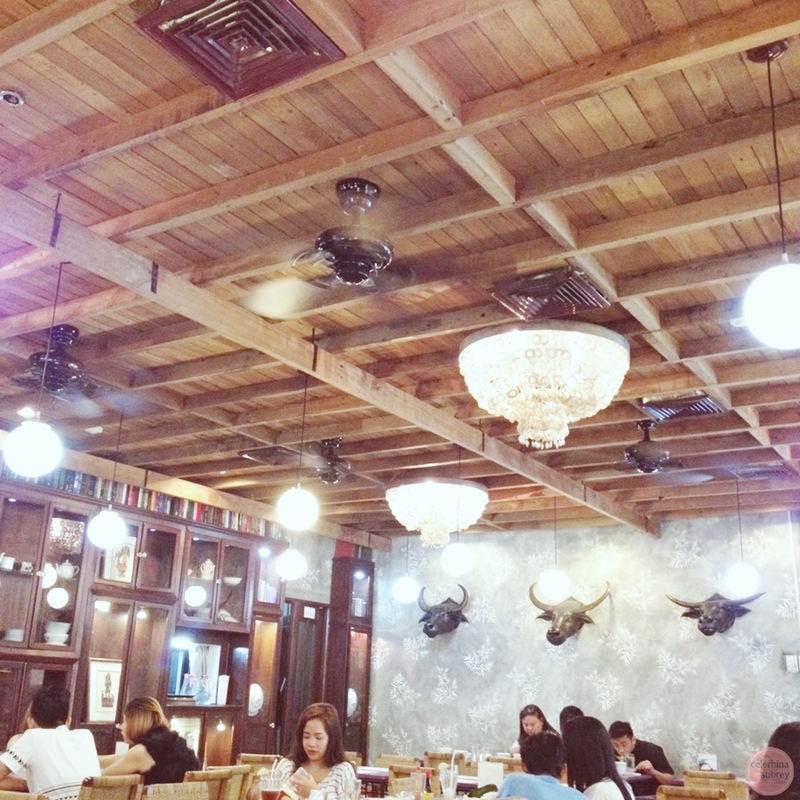 Even the chairs are made of rattan (or so I think) and the ceiling fans are very similar to the ones we always see on centuries-old bahay na bato. 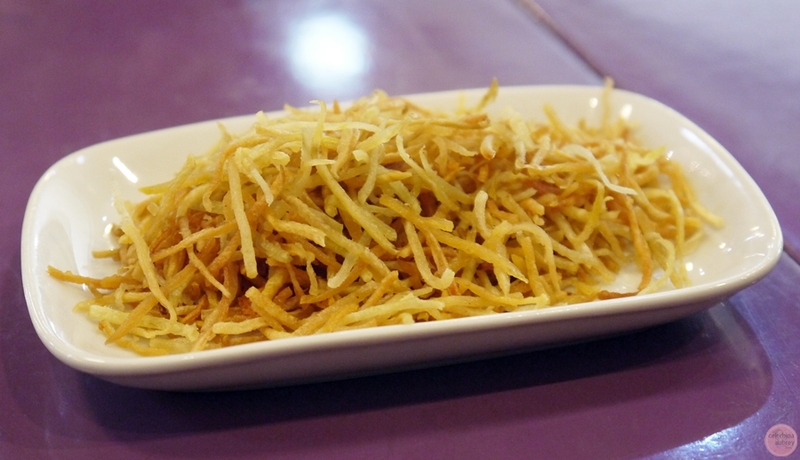 Once settled, we we’re served with this yummy shredded kamote strips with seasalt. I swear! 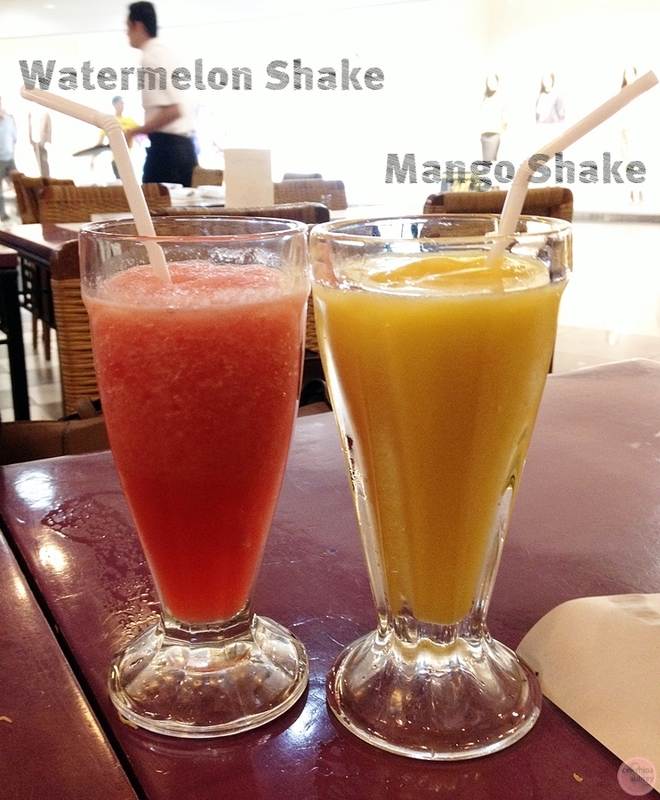 It’s soooo delicious. Very crunchy with the right amount of saltiness. This is a perfect replacement for chips me thinks. I’ll ask the ReigningTatay to see if he can do something like this. Both the ReigningTatay and my cousin opted for the Tinapang Bangus with garlic rice and salted egg. And oh boy it was huge! 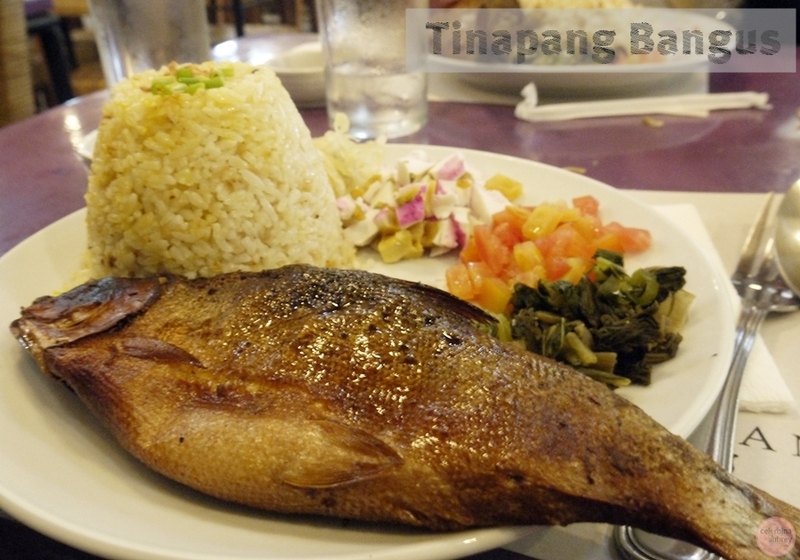 The smoked bangus (milk fish) is overflowing with flavors. I love that the “smoke” is not overpowering unlike some of the tinapa. The meat is also perfectly cooked. The bangus is perfect for the garlic rice and the salted egg plus tomatoes. Both the ReigningTatay and the cousin asked for second servings of rice. Saya! 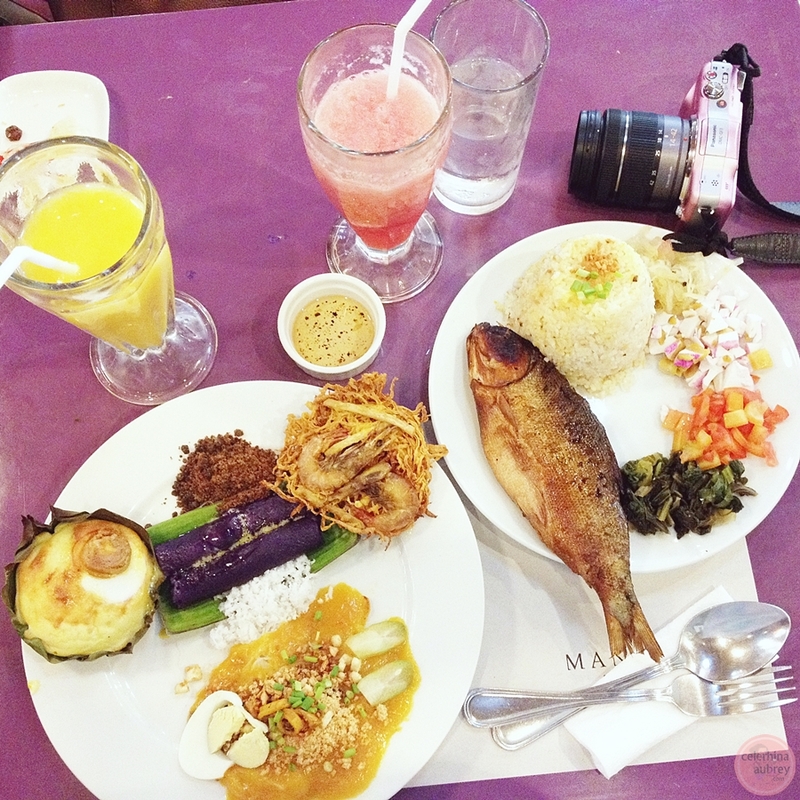 Since it was already 2PM when we dined there (for lunch), I opted for their Merienda Set Meal A. You can either have Pancit Luglug or Lomi, I opted for the first one. I told you that I fell inlove with Mangan’s Puto Bumbong so I made sure it’s present on the table on my return. So when I saw this set meal, I knew it was for me coz it has both the Bibingka and Puto Bumbong on it. Both of them didn’t disappoint. The Puto Bumbong is as yummy as I could remember with the muscovado sugar and all. It was really the best puto bumbong in town. While the bibingka is really good as well. The salted egg is perfect for the bibingka which is not too sweet. It was also soft and bursting with flavors. If you are like me, who’s very fond of this Simbang Gabi staples, then you’d really really enjoy. What I didn’t like much is the Ukoy. Although I don’t like Ukoy in general. Hahahaha! But Mangan’s version has shrimps, yes! Shrimps and not just hibi (super tiny shrimps). I did try it – crispy and goes very well with the vinegar, but it’s really not me so I gave it to the ReigningTatay who munches on it happily. So I guess it was good right? And of course the Pancit Luglog! Oh heaven! Pancit Luglog is one of my favorite dish. Me and Papa would usually eat all the Palabok and the Pancit Luglog in the house. But I am not much on Pancit Malabon because I don’t like thick noodles. I know! Weird much. Hahaha! Anyway, Mangan’s Pancit Luglog is really, really good. I would say they are one of the best here in the metro. Usually, my problem with some pancit lulog is the overpowering flavors and it being too garlic-ky. But Mangan’s is neither. It was just soooo good. Good food. Great ambiance. Very nice and friendly staff. That’s what you’ll expect from Mangan. Go and try them out!